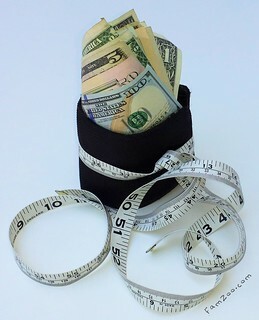 What’s your fattest money habit? Come on, you can be honest. Everybody has at least one discretionary spending indulgence that deserves a good belt tightening. Dining out? Clothing? Entertainment? Online shopping? Morning lattes? How do you break the cycle? Here’s a very simple recipe for isolating and trimming your fattest money habit. Choose the category of spending you’d like to attack. Just pick one juicy one to keep things simple. Focus will dramatically improve your odds of success. Track your spending for one week in the chosen category to identify your current baseline level of spending. If you’re already using a personal finance tool like Mint, you may already know your baseline number. Depending on your spending category, a week may be too short. If so, pick the shortest possible interval that makes sense. I strongly recommend starting with a spending habit you can track weekly though. The shorter the cycle, the easier it will be to stay on target and delay spending to the next cycle when things get tight. Get a separate prepaid card that you can dedicate to purchases in the chosen category. Emboss the card with the category name, or just write it on the card with permanent marker. Carrying a card with a label like “My Coffee Card” might feel a little goofy at first, but it really helps reinforce the notion that every expense in the chosen category must go on this card. When it comes to personal finance, little psychological things matter big time. Pick a target budget for your category. Do you want to shave 15% off your baseline number? 25%? 50%? Calculate your new number and make that your budget. Load your budget amount on the card each cycle. Ideally, you can automate this by setting up a recurring load from your bank account, your paycheck, another prepaid card, or some other funding source. Make sure you find a prepaid card that allows these repeating loads or transfers free of charge. Purchase all items in the chosen category using your dedicated card. Fortunately, since it’s a prepaid card, you can’t overspend on your habit. When it’s gone, it’s gone. There’s no credit available beyond your budget, and there’s no risk of overdraft — just a humiliating decline if you try to exceed your budget. To avoid surprises, be sure you have easy (and free!) mobile access to your balance. Better yet, make sure you get a text message that includes the updated balance every time you use the card. The constant feedback makes it super simple to make course corrections along the way and stay on track. What if you have money left over at the end of a cycle? Kudos! I’d recommend sweeping it immediately to your emergency fund or some other form of savings. That’s all there is to it. It’s like the envelope system, but with just one “envelope” (for starters at least) and a prepaid card instead of cash, so it works well online and is safer than carrying around loose wads of moolah. I know the technique works really well for my son’s discretionary college spending, and apparently it works fabulously for Maya’s coffee habit (see tweet below). I’m confident it can work for your habit too! Now go put your big fat money habit on a little slender prepaid card, and let me know how it works for you. Or, if you have a different approach that you’d like to share, I’d love to hear about that too! Sometimes it's the little things (coffee or muffin a day) that really adds up and tips your budget. Thanks for the tips. Indeed Sarah! A good lesson for kids to learn early. Thank you for stopping by.